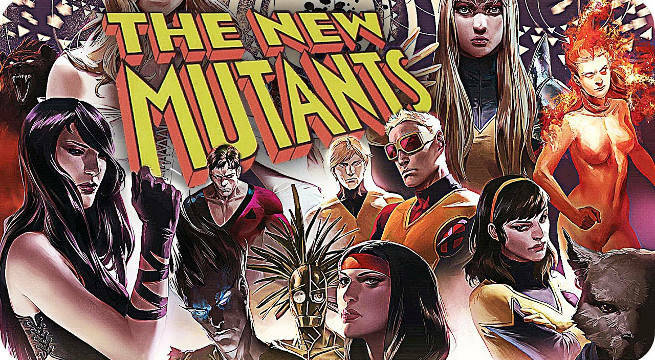 20th Century Fox's New Mutants film is quickly coming together. Following the news that Josh Boone would helm the project which will film in 2017 (along with X-Force and Deadpool 2), it has been revealed that Anya Taylor-Joy and Maisie Williams will star. Taylor-Joy has been cast as Magik, a mutant capable of sorcery who uses teleportation discs to travel between locations instantly. The character's name of Illyana Nikolievna Rasputina appeared on Stryker's computer screen in X2: X-Men United. Williams steps in as Wolfsbane, a young girl struggling to handle her the mentality religious beliefs have instilled in her against he ability to turn into a wolf. Like Magik, Wolsbane's real name of Rahne Sinclair appeared on Stryker's computer screen in X2: X-Men United. New Mutants will follow Magik and Wolfsbane, with the yet-to-be-cast mutants Cannonball, Moonstar, and Sunspot. According to the original report, Warlock is also said to be in the mix of characters being used for the film. New Mutants is looking to begin production in July on a script written by Boone and Knate Gwaltney. Longtime X-Men franchise produce Simon Kingberg will produce with Karen Rosenfelt. Taylor-Joy is best known for her role in Split, which surprised box office analysts an recently spawned a sequel. Williams is currently at work on the final pair of seasons for HBO's Game of Thrones, where she plays Arya Stark.